In this post I will show you the steps to move the System Center Orchestrator database to a different SQL machine. When I first installed the Orchestrator beta I had SQL server and all Orchestrator components on the same machine, but of course after a couple of days I needed to move the database to a dedicated SQL server. Stop all currently running and queued instances of runbooks. 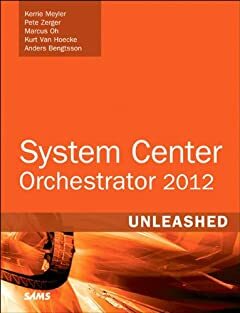 This can be done using the System Center Orchestrator Runbook Designer, or the Opalis Integration Server Client, or the System Center Orchestrator web console. Restore the database backup onto the new SQL server that you are moving to. Open Microsoft SQL Server Management Studio, right-click Databases and select Restore Database. Input the file as devices and Orchestrator as database name to restore to. After these steps everything except the web console and the web services was working fine. To get both the web console and web service to work against the new database I simple uninstalled them, and re-installed them. The re-installation took a couple of minutes. I guess there is a configuration file we could edit too, but re-installation is a fast and simple solution. I cannot do that because the new SQL server contains already a lot of databases….